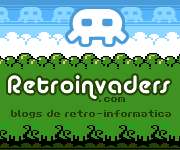 diciembre | 2011 | MSX Cassettes! One more TOSEC-MSX WIP release aiming for further consistency. Details of the TOSEC-MSX WIP v2011-11-22 dat comparisons follow; dat files and comparison log files can be found in the Files (Ficheros) section.